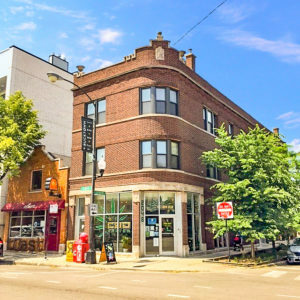 The vintage building includes 1,100 square feet of ground-floor retail, as well as two two-bedroom and three three-bedroom apartments on the second and third stories. The apartments were gut-rehabbed in 2016 and feature condo-quality finishes and amenities such as quartz countertops in the kitchens and baths, stainless steel appliances, hardwood flooring throughout and in-unit laundry. At the time of sale, the property was 100 percent leased, including retail tenant CBD Kratom.